Two disclaimers today -- First, I will discuss the story of The MISSING in great detail. If like us, you do not care about spoilers, read on. If you do, I'll make it clear when its time to make an exit. Experiencing the ending for yourself is crucial, I think, and I wouldn't want to ruin the moment for anyone who wishes to see it for themselves. For now though, spoiler-minded, you may read on in peace. Disclaimer two -- The MISSING deals with some heavy themes. Suicide, self-harm, and transphobia are core to the narrative. If that's more than you feel ready to sign up for, feel free to skip this particular article. The MISSING: J.J. Macfield and the Island of Memories intially baffled me. I couldn’t tell what anything meant, what it was about, or what it was all in service of. With most games I intend to write about here on T@P, I keep a notepad nearby and jot down ideas. Often I try to predict the ending, or piece together underlying themes and repeated motifs. From left to right, this graffiti reads CAN YOU HEAR ME, PLEASE WAKE UP, and CARDIAC ARREST. All of this makes perfect sense. Later. I promise. I felt like I was putting together a puzzle, and I couldn't tell what the image was until I put the last piece in place. Suddenly everything clicked. I knew what it all meant, and I looked back on my entire experience with a new context for every weird, seemingly obscure, avant-garde thing I’d witnessed. It all has purpose. There is not a single wasted scene, model, or stage in The MISSING. Everything is in service of understanding J.J, how she came to be here, and ultimately, yourself. 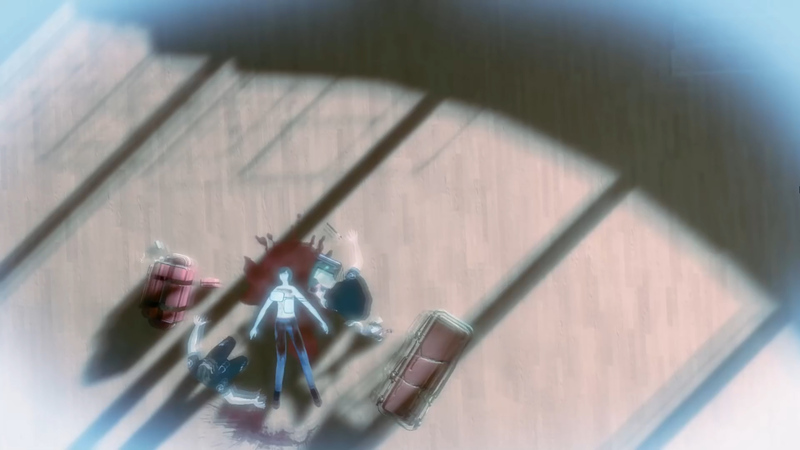 We'll hold off on detailing why it took until the ending to understand it all for now, but I open discussing the ending because it is the reason I hold The MISSING in such high regard. It elevated what started a David Lynchian horror adventure into something profound and touching. For now, let’s rewind. I’ll tell you how The MISSING opens before we get into heavy spoilers. 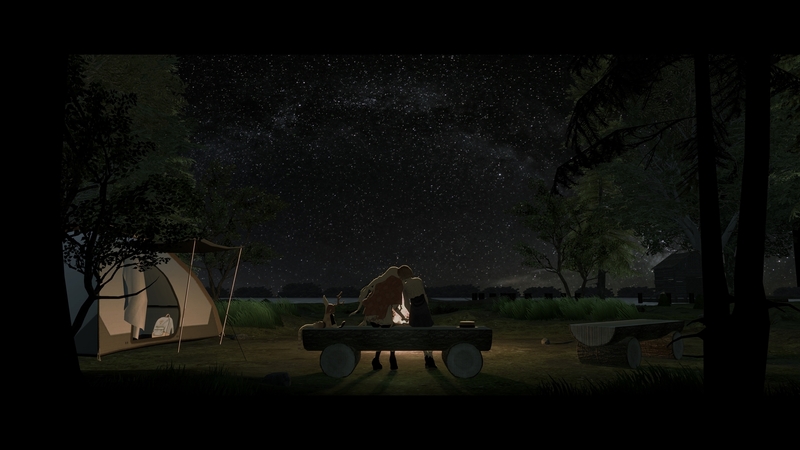 Emily and J.J. arrive on an island, seemingly on a camping trip together. J.J. wakes up in the night to find Emily missing. As she sets out to track her down, she finds the island filled with all manner of curious, nasty creatures. After spying one such beasty harassing Emily, J.J. gives chase to save her. Then she gets murdered by a lighting blast. And we meet Dr. Deer. We’ll see him a few times throughout The MISSING. Good news for J.J., though -- previously mortal injuries are now a minor inconvenience. From this point forward, J.J. can regenerate her body at any time. And we get a late Title Card. 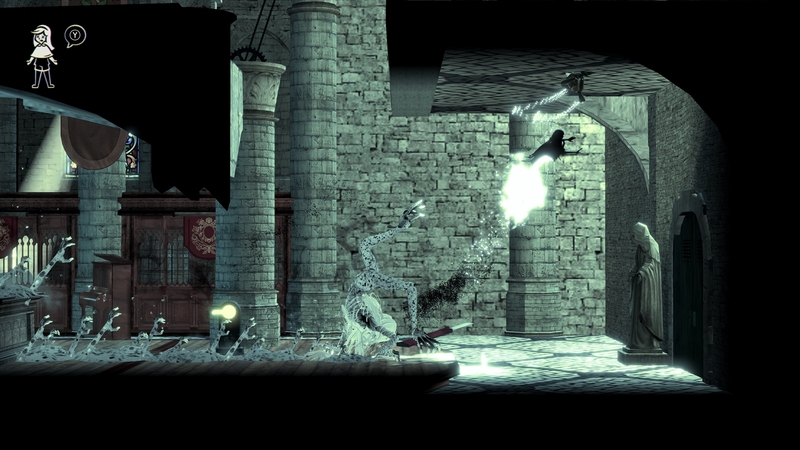 In most games you’re often discouraged from taking damage, but in The MISSING, you’ll often need to maim J.J. in some gruesome manner to progress. You can use her body parts to weigh down platforms, or shed limbs to fit in tight spaces. You can even reduce J.J. to a rolling head to fit in narrow corridors. It is possible to die, however, if J.J.’s head is destroyed. Circumstances where this occurs aren't common, but they exist. One particular reoccuring deadly theat is a long-haired yurei ghost who chases J.J, flailing a razor in pursuit. Most of the time you’ll be at your leisure to solve puzzles, free to experiment and test at your own pace. When this ghost appears, however, the pressure is on -- it's time to run and never look back. 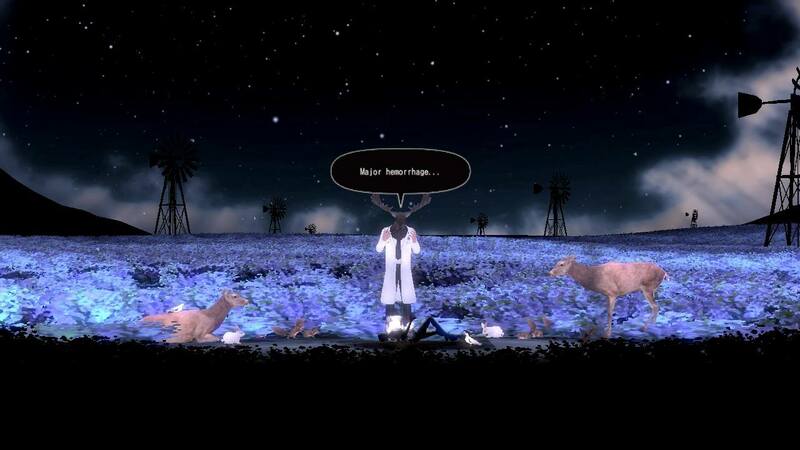 By now, you’ve probably noticed these screenshots are full of surreal hellscapes. The MISSING’s entire aesthetic is unsettling and disturbing by design. A Power Plant flows into a bridge, which flows into a bar, which flows into a gothic castle, which flows into a bowling alley. There are huge fields of flowers, and rows of unoccupied, abandoned houses. The world feels lonely and desolate, and when you do encounter company, it’s not the kind you want to keep. The big question, of course, is what is all of this in service of? If you’re intrigued and want to find out on your own, then this is where I invite you to stop reading and do so. 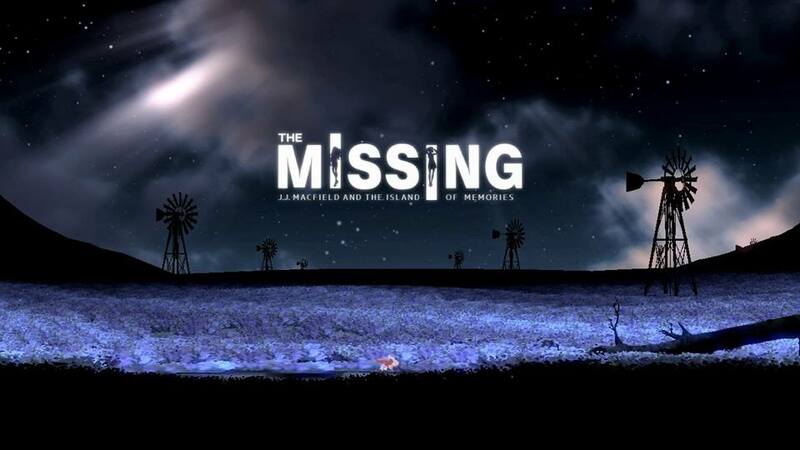 The MISSING is available on the modern platform of your choice. For those of you who need more, have already played it, or don’t care about spoilers, stick around. 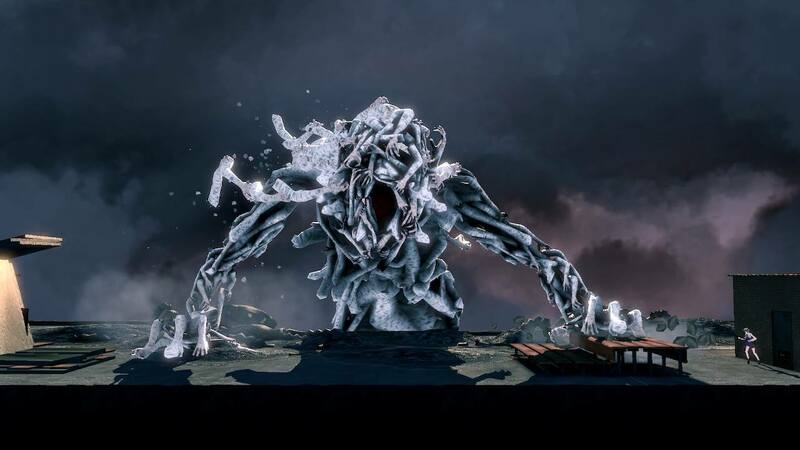 To discuss what all of The MISSING’s surreal environments and gameplay puzzles are in service of is to expose the big reveal. Last warning. Everyone who wants out gone? Everything you’re experiencing in The MISSING takes place in J.J.’s mind as she unpacks complex feelings after a recent suicide attempt. The surreal landscape around her is a smattering of memories clashing together as she chases Emily from location to location. Back in the real world, J.J. Macifeld is bleeding to death on a lecture hall floor while paramedics struggle to save her. The next question, of course, is what led J.J. Macfield to attempt suicide? 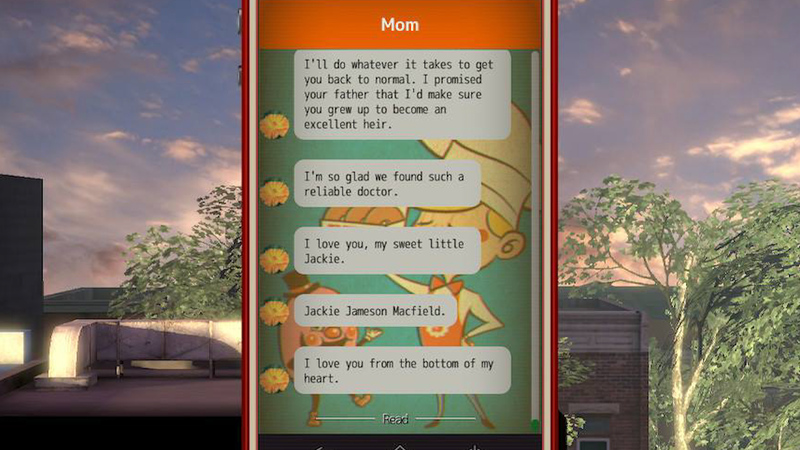 The answer to this is in J.J.'s text message history, which slowly reveals itself to the player. J.J.’s mother finds women’s clothing in J.J.’s room and inquires rather forcefully about it. J.J. insists the clothing belongs to Emily, but her mother doesn't buy it. She gets even more nosy and reads J.J.'s diary. After discovering some secret within, she insists J.J. seek therapy. It becomes clear through additional conversations this “therapy” isn’t a particularly productive kind. 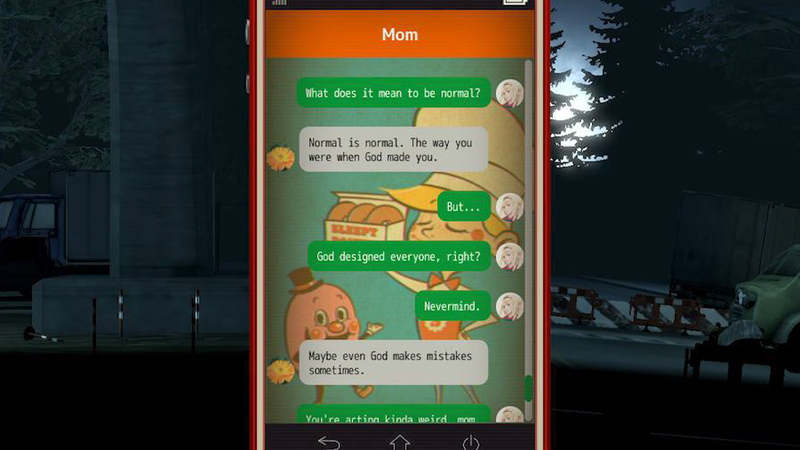 Mom’s message has deeply insidious implications. Things only get worse from here. J.J's secret soon gets out in school as well. While she does have some supportive classmates, her days are now rampant with bullying. We experience these scenes for ourselves near the end, while walking through the school halls. Ghostly crowds mock J.J. as she goes by. By the end of this sequence, J.J. becomes a huge body-horror monstrosity, a reflection of how she's been pressured to hate herself by those around her. Once J.J. faces the truth of what’s happened, it seems like this might be where things end. Her suicide note sits next to a noose, awaiting her arrival. 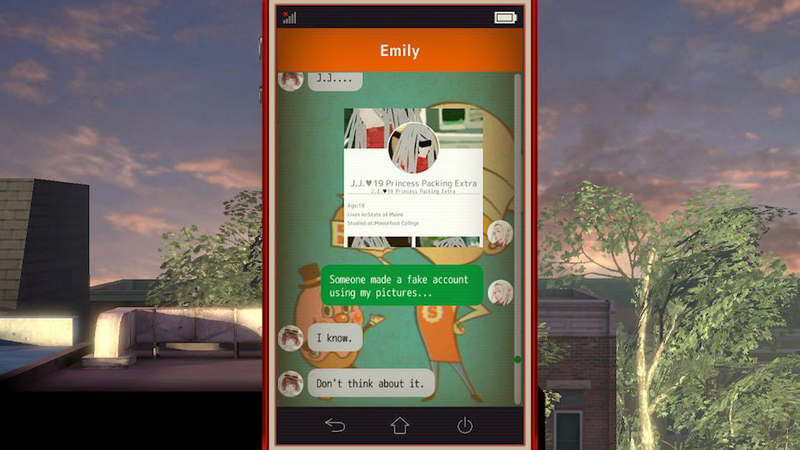 J.J. hangs herself next to Emily at the top of a clocktower. Everything fades into darkness. But The MISSING isn’t a tragedy. Your friend F.K. is here to save you. As the game approaches a close, J.J. finds the strength to live. 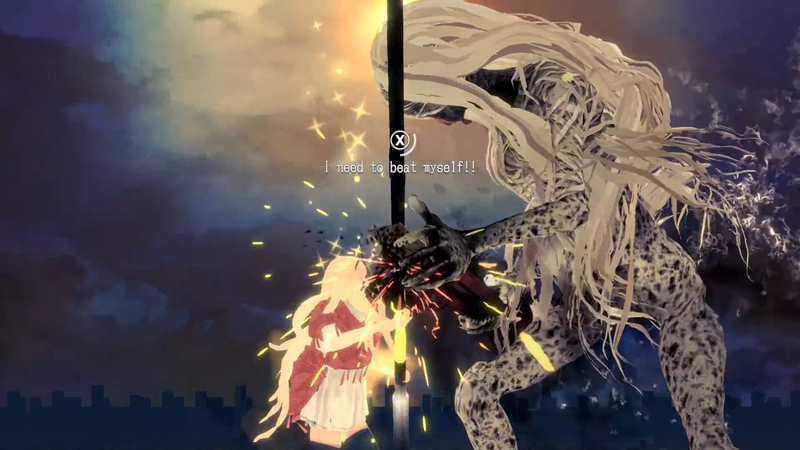 She faces her yurei attacker head-on in a final confrontation. 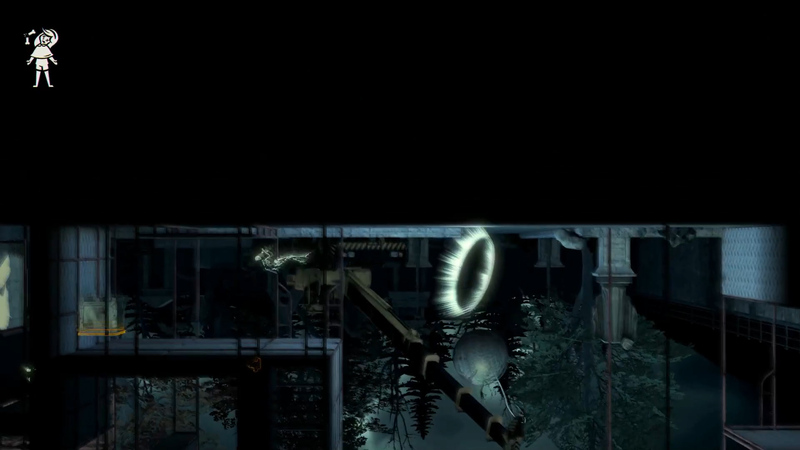 As J.J. delivers the final blow, a lightning bolt channels through them. The final stage is an exceptional test of every mechanic thus far. And when J.J. finally awakens, we see a man in her place. Even with all the clues laid bare, It’s a jarring, astonishing moment. All our time with J.J., we’ve known her to be a she. After all, in her mind, why would she be anything else? But her body, here, in the physical world, doesn’t accurately reflect the person we’ve been with for six hours. When you consider J.J. was already fighting this disconnect between mind and body, then add on additional pressures from both her peers and even rejection of identity from her own mother, and it becomes quite easy to see how J.J. made the fateful choice to end her life. All this animosity, internal and external, sculpted the horrifying landscape we found ourselves trapped in. It’s here many of the game's design decisions and repeated motifs crystalize. The abundance of self-harm as a core mechanic is a reflection of J.J.’s self-hatred towards her own body, a self-hatred born from constant rejection. The yurei ghost's choice of weapon, a giant razor, is likely the item J.J. used to inflict her near-mortal wounds. The frequency of lightning strikes? Defibrilator shocks. Dr. 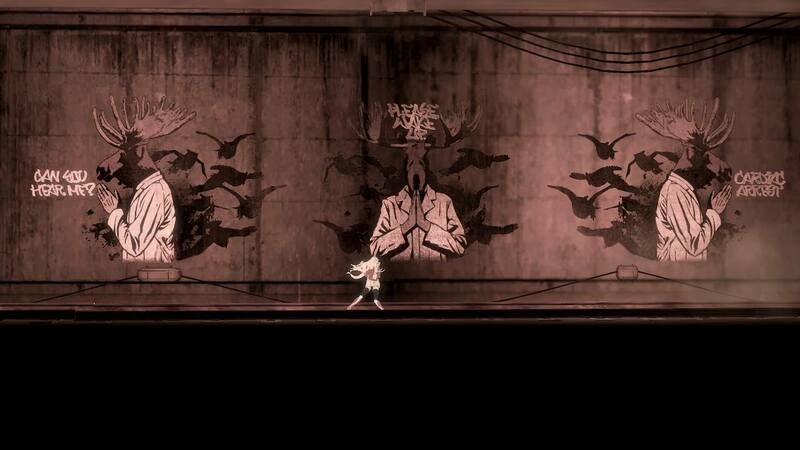 Deer's strange words, which you can read on the wall in an image near the top, are likely the E.M.T. 's words bleeding through to J.J.'s mind. And finally, Emily’s aversion to J.J., her constant fleeing, is representative of J.J.’s guilt, and her knowledge her death will devastate Emily. 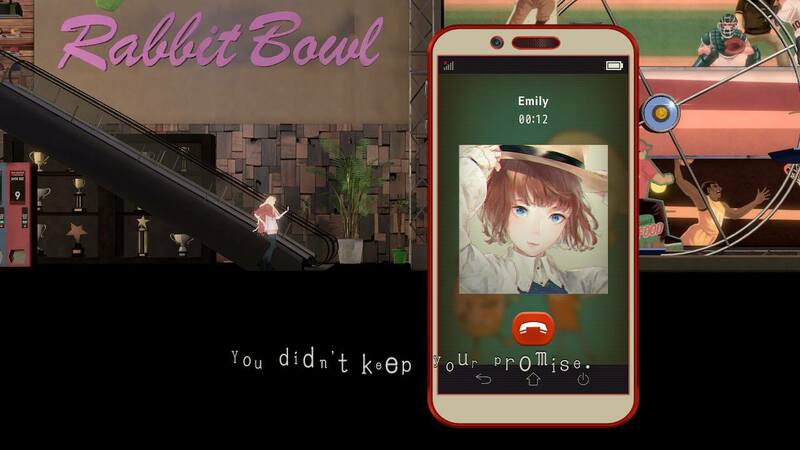 Emily’s phone calls always condemn J.J. Near the end, we know why a self-reflected version of Emily would feel this way. 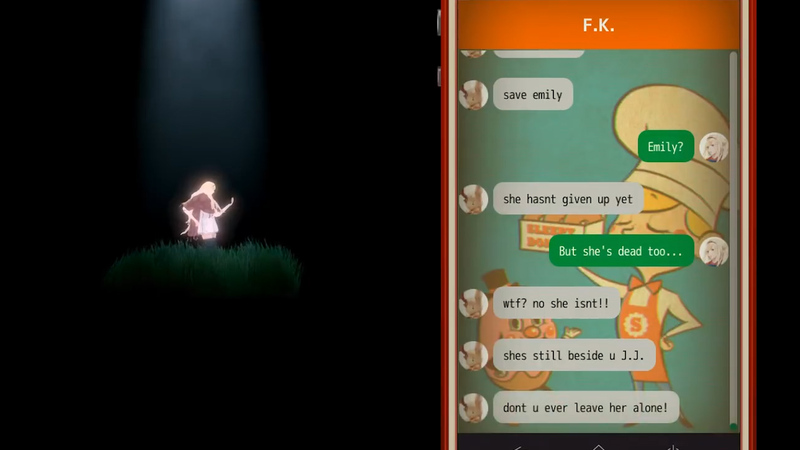 F.K., J.J’s stuffed animal, messages you frequently throughout the game. Ends up the little guy worked hard to save you in both worlds. But, while most of the mechanics have reflected themes of self-harm, it ends up the other angle, the way J.J. can endlessly regenerate, was the real focus. Upon being shocked back to life, Emily runs into the room and holds J.J. close. After so much fear of rejection, J.J. finally recieves acceptance and validation from someone who loves her for who she is. In emerging from her crucible, J.J. has come back stronger than before, and found the strength to live. 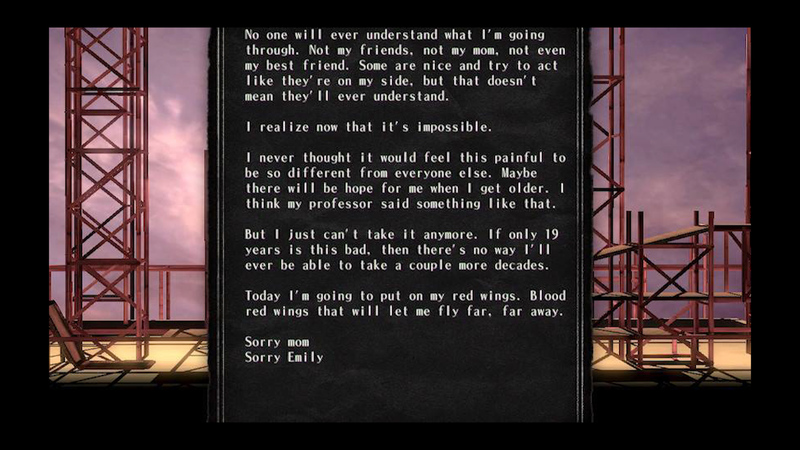 In J.J.’s mind, she feared rejection from Emily. In the real world, however, Emily is relieved to know she’s alive. It’s here I have to levy my one criticism of The Missing, and it’s a concern I often have with portrayals of suicide in media. Whenever a suicide attempt result in a positive outcome, I’m always worried what kind of message it sends to anyone who may be struggling with suicidal ideation. For a worst case scenario on why this concerns me, one need look no further than Netflix's 13 Reasons Why, a show which has been linked to a noticable uptick in suicide attempts, and frequently raises concerns among mental health professionals. 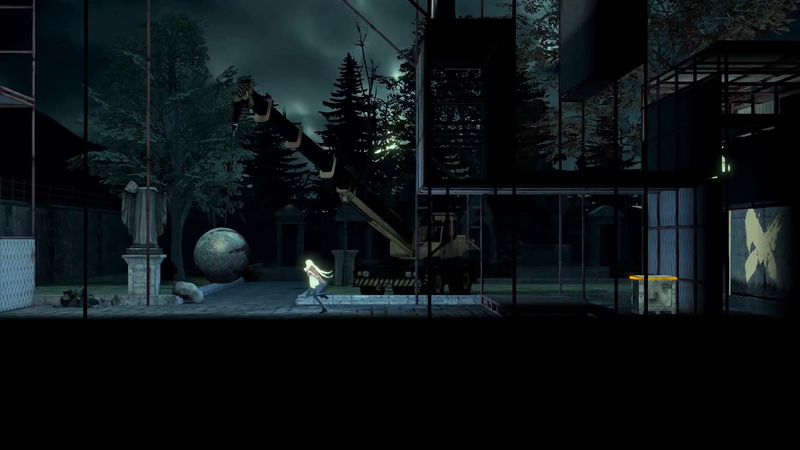 In The MISSING, however, J.J. Macfield's suicidal dreamworld is populated with contrition. As everything fades away, J.J. is consumed with the knowledge she's hurting someone she loves, and as her life starts to fade, this regret overpowers any sense of relief or revenge. In framing her journey this way, The MISSING alleviates a lot of my concerns with the glamorization of suicide. F.K. is there in the end to remind J.J. her choice will hurt someone important. The true power of The MISSING, I think, is the way it bridges a tremendous gap in human understanding. J.J. is correct in her suicide note -- it is impossible for Emily, her mother, and myself to understand what she's going through. As someone who’s never struggled with my identity, I can never claim to comprehend what it’s like to look in the mirror and see a stranger. I could read every article in the world about gender dysphoria and transgenderism, but it will never get me the emotional, empathetic link necessary to actually feel it. 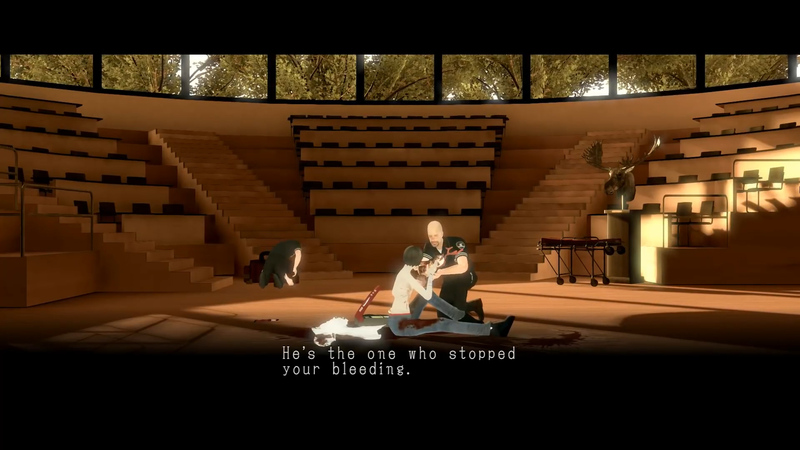 Somehow, in experiencing J.J.'s story, The MISSING got me a short ways there. In showing me the tip of a vast iceberg, it accomplished more than any other game has on the subject. Games rarely tackle issues this complex, and when they do, we sometimes wish they hadn’t. Games rarely make transgender characters the star of a show. When they do exist, they're more often relegated to supporting roles or side-characters, and their stories are often punctuated with tragedy. Swery and his team at White Owls, however, managed to pull off something I was starting to think was impossible. 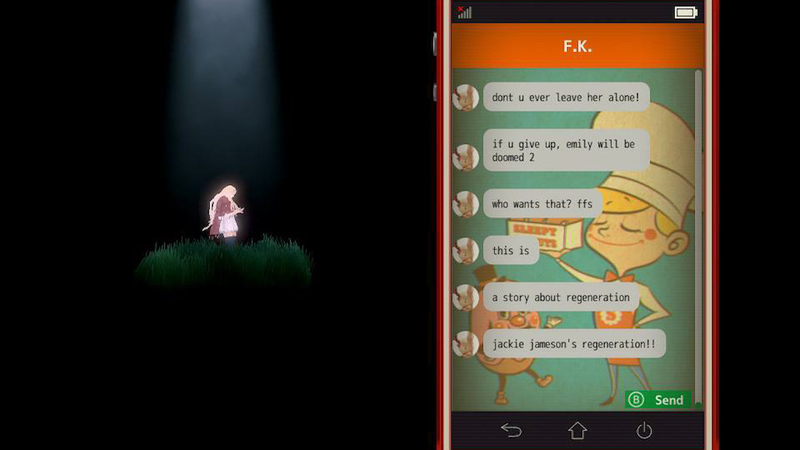 The MISSING is a rare example of a game framed entirely around struggles of gender and identity, and it sticks the landing with confidence and care. J.J. Macfield deserves a happy ending, and I was overjoyed she got one. 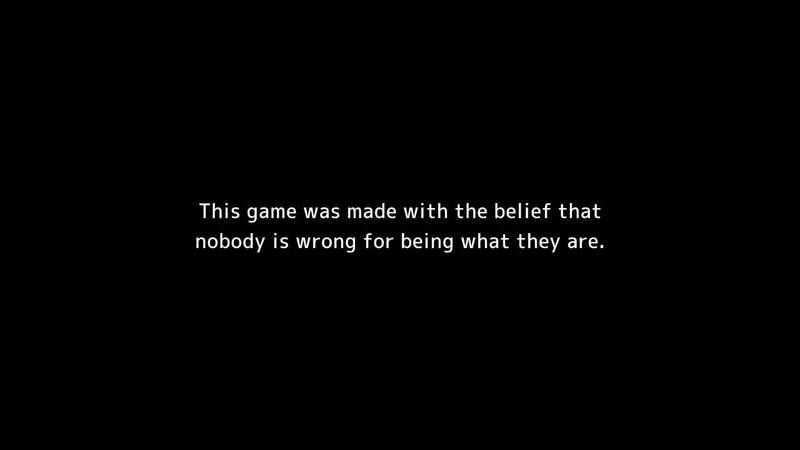 Upon starting the game, you're greeted by an epigraph. It sums up the core belief of The MISSING better than I ever could. Be you. The MISSING is available on PC, Playstation 4, Xbox One, and Switch.